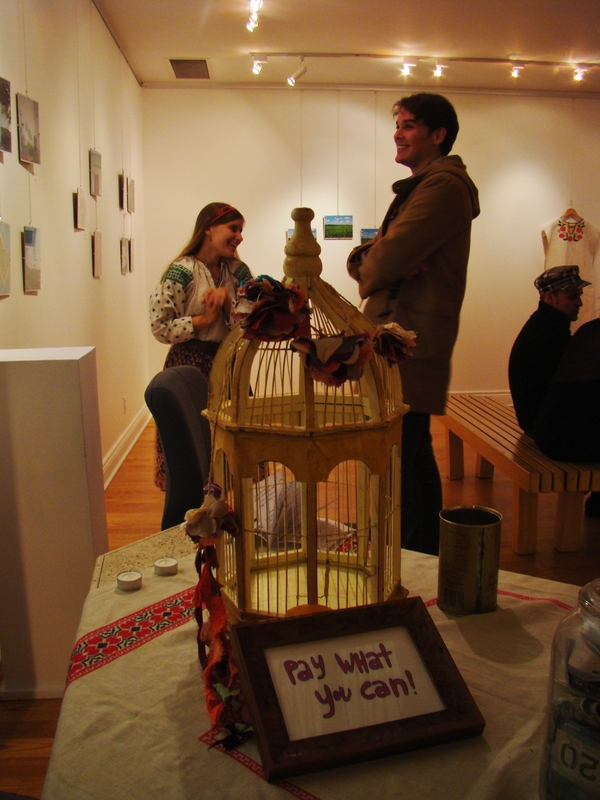 Before I talk about our future events, I would like to thank everyone who helped set up, clean up, tended the bar, the food, those who sang, and played, and to everyone else at Marshrutka art show at KUMF gallery. Thank you for all the support!!! 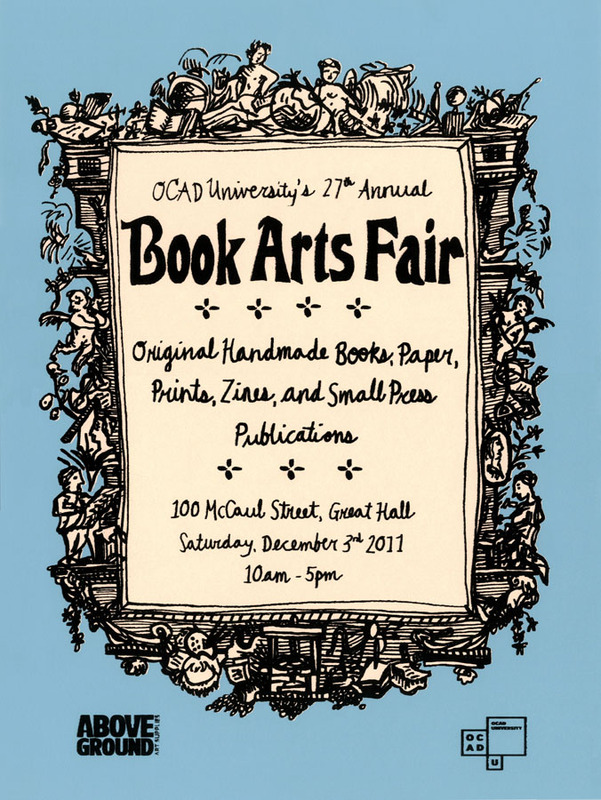 This Saturday, December 3rd, we will be at the annual OCAD Book Arts Fair! St. Andrew's Eve- Свято Андрія Калити . 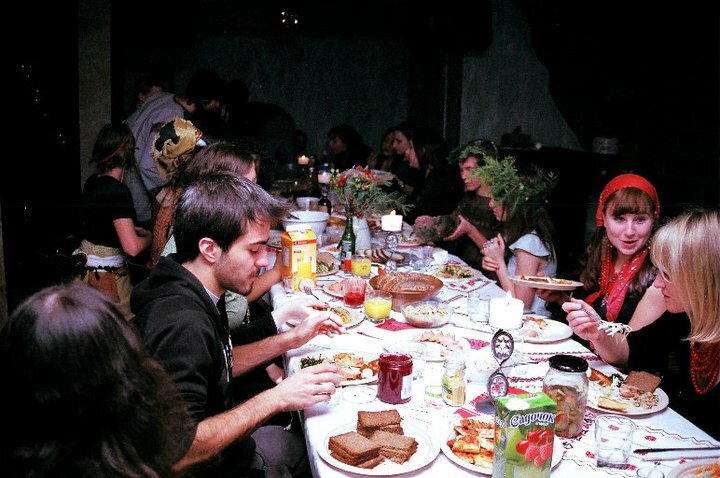 (old Ukrainian New Year's) for the Kosa community! Saturday, January 21st at St. Vladimir's Institute. It will feature traditional games, singing and dancing from Ukrainian village folk culture. Lemon Bucket Orkestra and all our friends from Toronto and beyond! 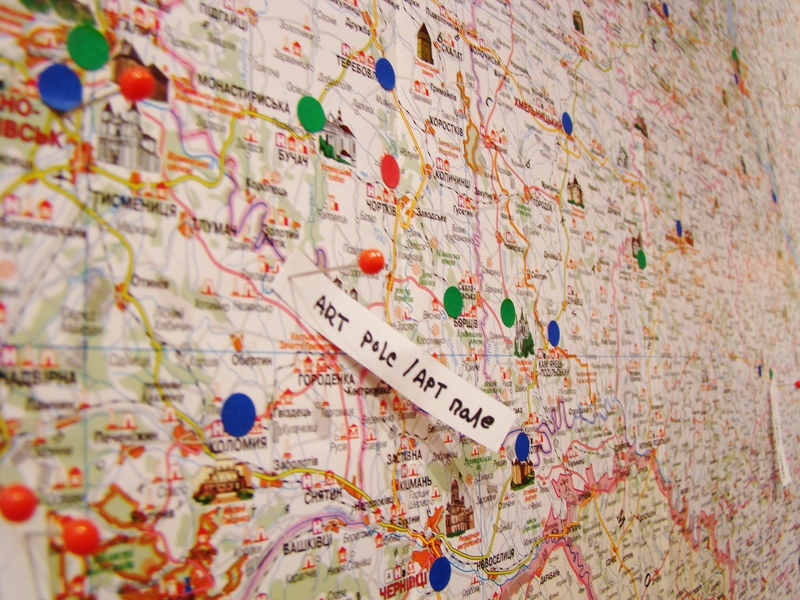 more singing and folk dance workshops to come in December, and folk crafts too!